Can you name a scientist who is alive today? Because 81% of the American public can’t name one. 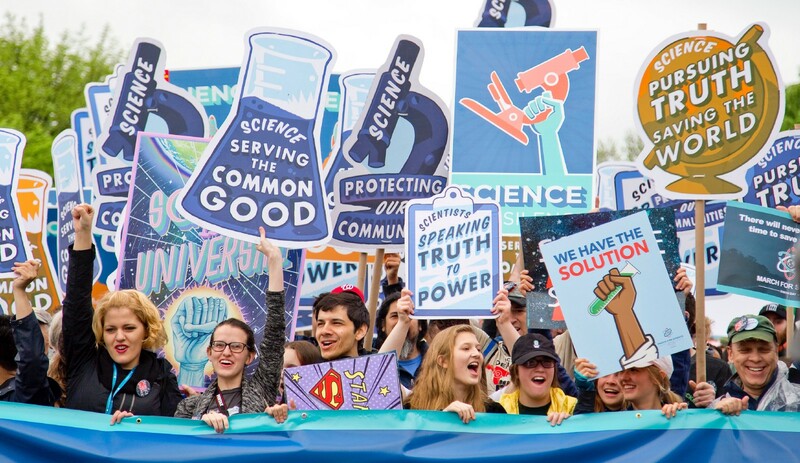 This is discouraging news for anyone who cares about science literacy, but it isn’t particularly helpful unless we allow ourselves to consider that maybe the public isn’t the problem. This observation perfectly summed up the confusion during a meeting between two nearly identical organizations that “promote public engagement with science”. We didn’t even begin with the same interpretation of who we represent and had tripped over a fundamental obstacle to science communication. According to the NSF Report on the Science and Engineering Workforce, defining who actually counts as a scientist is a challenge; their estimate varies from 6–21 million (when including science degrees now working in other fields). Even this range may not represent scores of other professionals, educators, and amateurs with real STEM expertise. It should be a simple question to answer but scientists are genuinely uncomfortable taking credit for the title. Their response is usually some form of “I’m not a real scientist…” followed by an unnecessarily precise job description that serves to disqualify their niche of expertise. This is understood as professional humility amongst peers but sounds oddly evasive and confusing to non-scientists. Nowhere else do people so vehemently deny the categorical hierarchy of their pursuits. This example shows how inclusive conversations begin with broad strokes. The term artist encompasses the entire realm of expression from fine art to performance. Musicians may refer to themselves as a songwriter or guitarists but few will deny that they are artists first and foremost. It is commonly recognized that the old “what do you do?” can refer to either a career or a profession and we can answer how we choose. Declaring oneself a “scientist” is akin to mistaking the word “theory” for “hypothesis”. The problem is that the scientific community has taken its own purist meaning that is exclusive to those conducting active research. It doesn’t help that we have been conditioned to stay within narrow epistemological lanes and deflect further questions until someone better qualified can be located. In effect, the term scientist has become a moving goalpost that the public can’t keep up with. The Oxford Dictionary defines the term scientist as “a person who is studying or has expert knowledge in one or more of the natural or physical sciences.” What about computer engineers, architects, or doctors? By the book definition, of course they’re scientists! Our organization hosts science communication workshops and deliberately casts a wide net for ‘STEM-adjacent’ career fields. During introductions, our participants are asked to describe their field and every single one will lead with their current job title or worse; a complete biographical resume. This kind of credentialing is the first bad habit of science communication that we have to break. We cannot restore respect for scientific expertise without standing up as experts. Don’t be afraid to call yourself a scientist; you may be surprised to find out how much the public wants to know what you know.